MRD Eco-friendly Breathable Men's Long Winter Down Coat Inside quilt with side zipper pocket & adjustable Hood & side bottom. Innovative non toxic PFCs free C zero based DWR Treated Fabric and Down Miracle Realdown Patent Tech. Down source track service available any time Delights & Global co. Ltd is a promotion company that merchandises specialized MRD (Miracle RealDown) products with innovative patent technology. Through continued research, development and internal testing, our eco-friendly MRD tech incorporates DWR hydrophobic nano-coating methods, using non-toxic PFCs(fluorocarbon,PFOA,PFOS) free C0 100% durable water repellent, and breathable ultra-thin downproof MPC(microporous direct coating - 1 layer) combined mechanism. 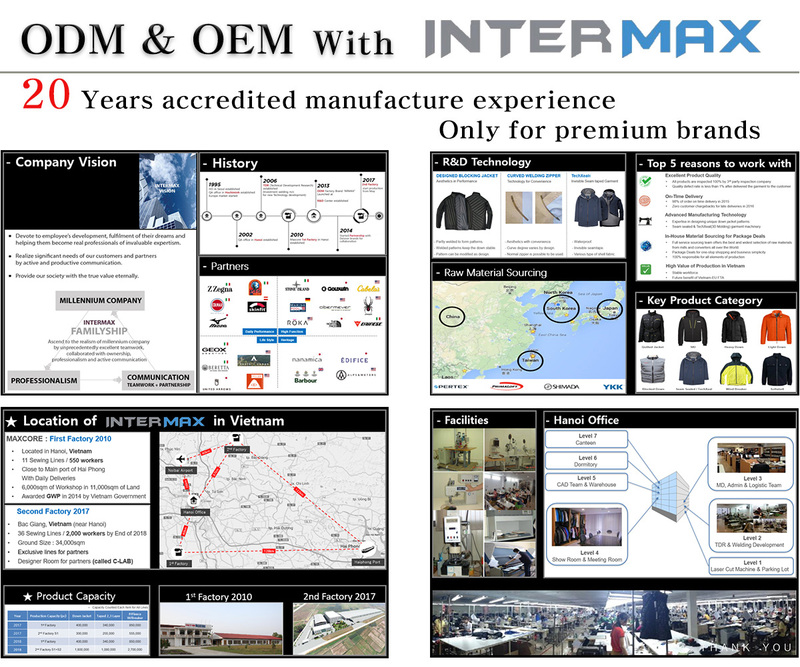 For prioritizing the safety, comfort and satisfaction of customers, we have exclusive supply contract with major global Bluesign accredited companies such as Allied Feather & Down (Global No.1 down company) and Onechangmaterials(Korea domestic No.1 fabric company). We work closely with our partners to push boundaries to develop product improvement. Our company is committed to protect environment and promotes healthy apparel for present and future generations. We aspire to stand together for reaching out to desperately hopeless neighbors in every corner of the world, helping them better their lives with sharing of our profits. It is our sincere mandate to care for our planet and people in the world.